Oh no! It looks that job has already been filled! Please review our other listings for more opportunities. Examines, repairs, assembles, and tests aircraft accessories, such as engines, power brake units, auxiliary electric motors, spark igniters, valves, pumps, fuselage, wings, and oil and fuel tanks, using hand tools and testing devices, and following shop orders and manufacturer's specifications. Performs routine inspections or special maintenance to prevent failures of aircraft mechanical systems and components; performs complete operations checks on hydraulic systems, pneumatic systems, plumbing, precision assemblies, rigging and controls, etc. Determines when a component should be repaired or replaced; decides upon necessary repair scheme, quantity and type of parts needed to accomplish proper repair; secures necessary parts from Stores or departmental supplies. Repairs, reworks, and modifies worn or defective assemblies, making alterations or changes to units when necessary. Follows approved maintenance procedures for subject component or system, consulting internal procedures that have been FAA approved, original equipment manufacturer's (OEM's) technical data, and work package instructions. Consults the Maintenance Lead if technical assistance is needed during the repair process. Inspects completed work before sign off to identify any needed rework; performs rework; ensures that repaired components meet prescribed standards and tolerances. Performs serviceability tests on repaired components/systems using test equipment specified by the original equipment manufacturer. Completes work package documentation by signing/stamping after finishing all designated operations. Submits completed/in-progress work to Maintenance Lead for review; submits to Quality Assurance for final/in-progress inspection and re-certification of airworthiness. Provides supervisor with performance statistics and other operational data, as requested. Properly accounts for time and materials used in all inspection and maintenance activities. Comply with repair station procedures (RSM /QCM) and company policies (SOP) when performing aircraft or component maintenance. 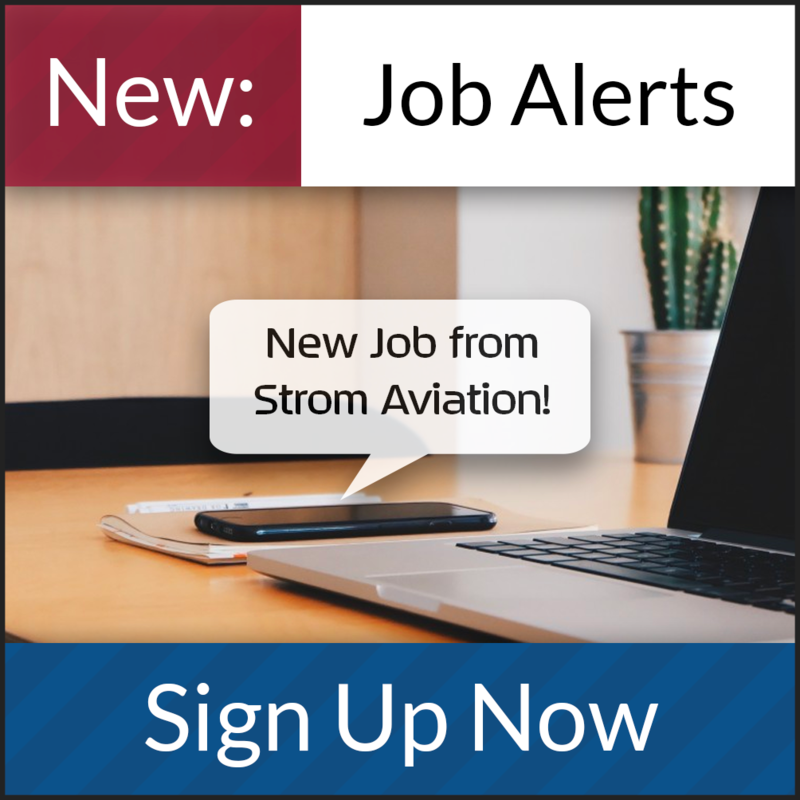 Strom Aviation is currently seeking Sheetmetal mechanics in Middletown, DE. Candidates will be on the CH-47 side and will be doing repairs and modifications. Performs work as outlined in work orders timely and signs when work is completed. Notify his supervisor immediately of any condition that may arise that could present him with problems of parts, materials, airworthiness, workmanship or schedule. Coordinates with the Designated Inspector when a progressive inspection is to take place and notifies the Designated Inspector prior to closing a given area or for final inspection. Performs work with sufficient hand tools to perform assigned duties which include assemble, install, and connect parts, fittings, and assemblies on aircraft, using layout tools, hand tools, power tools, and fasteners such as bolts, screws, rivets, and clamps. Continuously abreast of current technical maintenance standards and methods. Uses current revision of technical data when performing work and include such data in the work order file. Uses only serviceable or new parts when accomplishing work on airframe, engine and components. Completes parts/components requisitions accurately and timely including proper part number, quantity, work order and operation be announced for parts traceability, to meet scheduled delivery of aircraft or other components. Responsible in keeping work area clean and in an orderly manner. Ensures that appropriate maintenance manual, repair and inspection procedures, service bulletins and letters or other data as appropriate for work accomplished are included as part of the work order. Ensures work order discrepancy corrective action is adequate for work accomplished. Notifies supervisor of any tasks performed which should be documented in the On The Job Training (OJT) record. Ensure that all equipment/components removed for repair and/or to gain access are properly documented, tagged and identified on appropriate forms as outlined in RSM. Ensure that parts/components as received from the parts department are accompanied by the applicable forms. Ensure that parts/components as received from the parts department that could possibly require a “Core Return” are acknowledged and that the core is returned to the stock room in a timely manner. Strom Aviation has a need for 4 A&P Mechanics for a contract position in Middletown, DE. Inspect, test, repair, maintain, and service aircraft. Read and interpret aircraft maintenance manuals and specifications to determine feasibility and method of repairing or replacing malfunctioning or damaged components. Examine and inspect engine or other components for cracks, breaks, or leaks. Disassemble and inspect parts for wear, warping, or other defects. Assemble and install electrical, plumbing, mechanical, hydraulic, and structural components and accessories, using hand tools and power tools. Adjust, align, and calibrate aircraft systems, using hand tools, gauges, and test equipment. Test engine and system operations, using testing equipment, and listens to engine sounds to detect and diagnose malfunctions. Service and maintain aircraft systems by performing tasks, such as flushing crankcase, cleaning screens, greasing moving parts, and checking brakes. Perform maintenance IAW FAA approved technical data. Research FAA technical data to locate applicable data relevant to assigned tasks.